Titchfield Tree Services are specialists in offering Estate Management with our professional and friendly team of experienced tree surgeons providing a comprehensive service. Based in , we have extensive expertise and experience in all aspects of tree work, Estate Management and control of invasive species, so you can keep your property in fantastic condition. Titchfield Tree Services provide a customer-driven service and the surrounding areas, facilitating successful and worry-free external estate management. 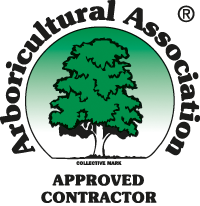 Our knowledgeable and helpful team uses the latest industry safe working practices to provide a first class services that reinforces our knowledge of arboriculture care. Our services are on offer at a very competitive rate, providing some of the best prices in for the quality of service delivered. Whether your property is not getting enough sunlight due to overgrown trees, or if the hedges surrounding your property need pruning and reshaping, you can rely on us to provide the highest standards in Estate Management. So if you require Estate Management in with a service and value that is second to none, look no further than Titchfield Tree Services.